Sliptease – last ever copy! We’ve had a wonderful summer so far running around the country. Sidmouth and Broadstairs were wonderful! We’ve briefly touched base for a few days and during our stock take of CDs we’ve found that this is the last ever copy of Sliptease!! So if you’re after completing your collection – this is your last chance! 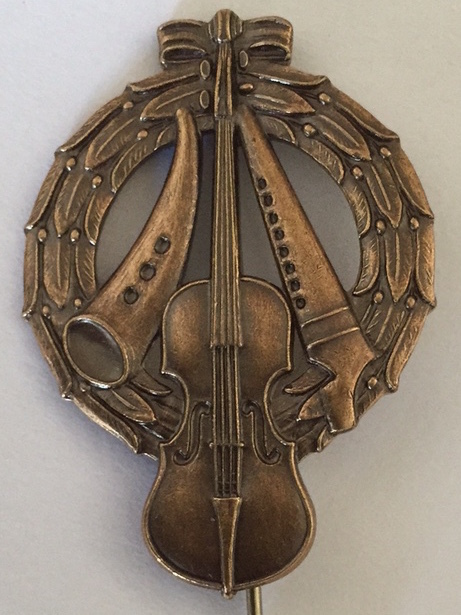 We’ve just got back from Sweden where Jonny has been awarded the prestigious Zorn bronze award for the traditional playing of the cowhorn. . Wikipedia explains much better who, what and why we played for. So we are now both hold the bronze award. This of course is going to mean making a whole new website dedicated to the säckpipa and kohorn. Workshops will inevitably follow! For now you can watch Jonny’s kohorn video playlist. But keep an eye open for workshops – they might even include making your own horn! Paper of Pins – available now! The day has finally arrived. Paper of Pins is released! It’s already had radio plays on 17 different stations – three of which have had the album as their album of the week. 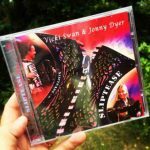 We’ve had two reviews back, Folking.com said “this is the best of Vicki and Jonny’s albums to date”. FolkWords said “‘Paper of Pins’ is quite simply a solid gold, five-star album.” As you can imagine we’re really happy! 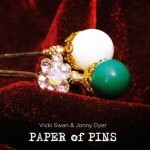 Buy your copy of Paper of Pins now! To celebrate launch day we went out into the garden and recorded the title track live for you! We hope you enjoy the album as much as we have had in making it! Paper of Pins Pre-orders are Open! We are really excited to finally be able to open Paper of Pins for pre-order! Of course you’re going to want to know what’s on the album – we we made a little video teaser trailer for you! So watch the video and then pre-order and we’ll send you the album as soon as it arrives in a couple of weeks time! Pre-order your copy of Paper of Pins now! We had a really cool day on Monday. We filmed a full performance of Jonny’s Canon from the album Paper of Pins. We hope that you enjoy watching as much as we enjoyed filming! If you’d like to perform Jonny’s Canon, Click Here to download the dots! Or go to Jonny’s page with lots of information on it! Terry at One Big Idea Photography did an amazing job getting us inside the nyckelharpa! So the day is here – Paper of Pins is going off to press – we’re very, very excited! This is probably our final new album update before we go off to press and open up for pre-orders! We had the photoshoot for the alum cover last night and had lots and lots of fun! The musical instruments were definitely the stars of the show, especially the fiddle-harpa. 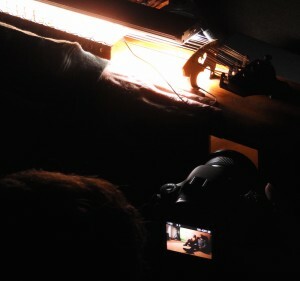 Have a look at the little videoblog we took (and get a sneak preview of some of the final audio!) If you have a close look at the photo on the left you can see what was found inside the ‘harpa! We’ve had a busy time with books and these are all being added to our Music Publishing website at Wetfootmusic, so swing on by and see if there is anything that tickles your fancy! Happy St Patrick’s Day! We’ve got a new addition to the harpa family. Technically it is a nyckelharpa, but he’s a special little thing and only to be used for Scottish and Irish stuff, so he’s called a button-fiddle. So we recorded a little video to introduce the new fiddle. A Scottish and an Irish reel. The day is finally here, It’s International Bagpipe Day! So as I’ve already shared my video of Vännens Långdans I’ve made a playlist of five of the tunes that I’ve recorded and videoed as Medeos (that’s like video, but as the ensembles are me, they’re medeos. So midday today – get outside and play your pipes!